Size: 10"x8". We suggest using 7 sheets to make a nice papertole. Size:8"x10", We suggest using 7 sheets to make a nice papertole. *FREE cutting instruction included when you order 7 sheets or more. Size: 4"x10". We recommend using 6 sheets to make a nice papertole. Cutting instructions not available. Size:8"x10", We suggest using 7sheets to make a nice papertole. Cutting instructions available. Size:8"x10", We suggest using 7 sheets to make a nice papertole....*FREE cutting instruction included when you order 7 sheets or more. Size: 5"x5". 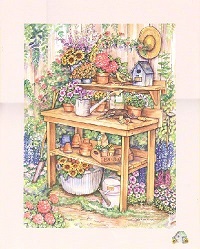 We suggest using 6 sheets to make a nice papertole...*FREE cutting instruction included when you order 6 sheets or more. Size: 10"x8". we suggest using 6 sheets to make a nicepapertole...*FREE cutting instruction included when you order 6 sheets or more. Size:4"x10", We suggest using 5 sheets to make a nice papertole. Cutting instructions not available. Size: 6"x8". We recommend using 5 sheets to make a nice papertole. Cutting instructions not available.